A price tag of R6 million? A layout of 624 m²? Must be quite a house, right? 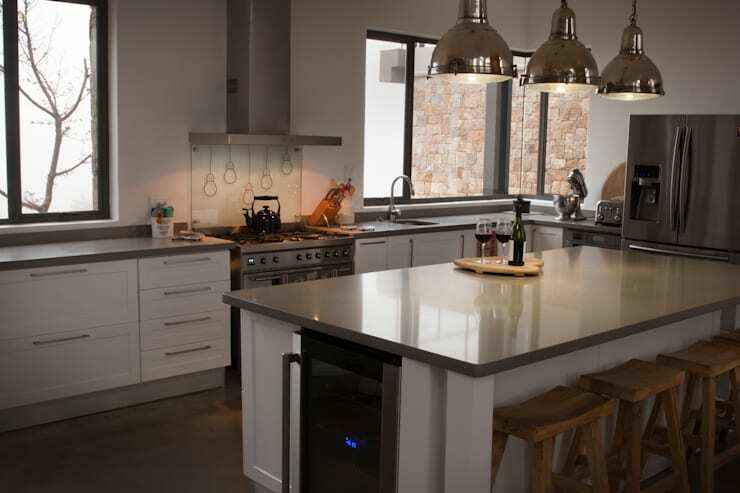 You bet – and we are about to view it here on homify 360° right now. But first, a little background information on this dream house. 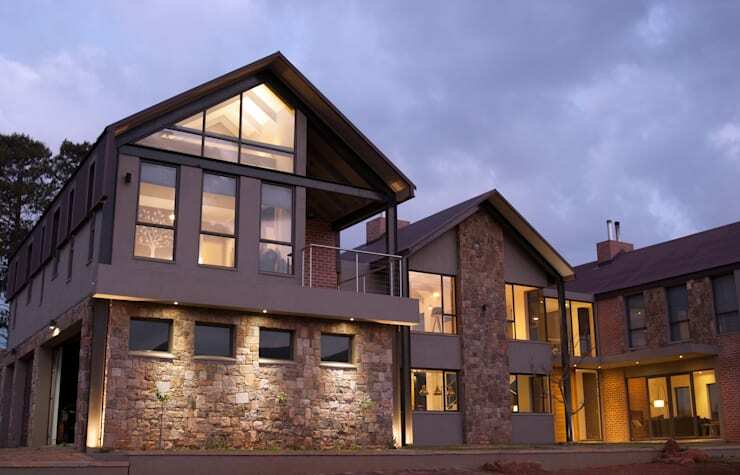 It is nestled in the lowlands of the Mpumalanga landscape in Dullstroom, approximately 250km outside Johannesburg. Its ‘barn style’ design was favoured as a response to the estate guidelines, with a modern architectural interpretation. The clients provided the professionals in charge (Urban Habitat Architects) with a brief which stated that they required a ‘home away from home’, with a strong emphasis placed on comfort and functionality. A diverse range of rustic materials have been chosen to adorn the house both inside and out, which also softens the modern geometry of the structure and adds some warmth to the finished look. Flaunting a regal double-storey height (triple, if you count the top attic space), this house knows just how to take one’s breath away via its sheer size. However, the combination of eye-catching materials softens its façade somewhat and makes it more charming – such is the style power of exposed brick, stone, and crystal-clear glass. And of course the charming warmth illuminating from inside also goes a long way in making the house seem homier. Inside, it is clear that the designers were fully committed to both style and function. 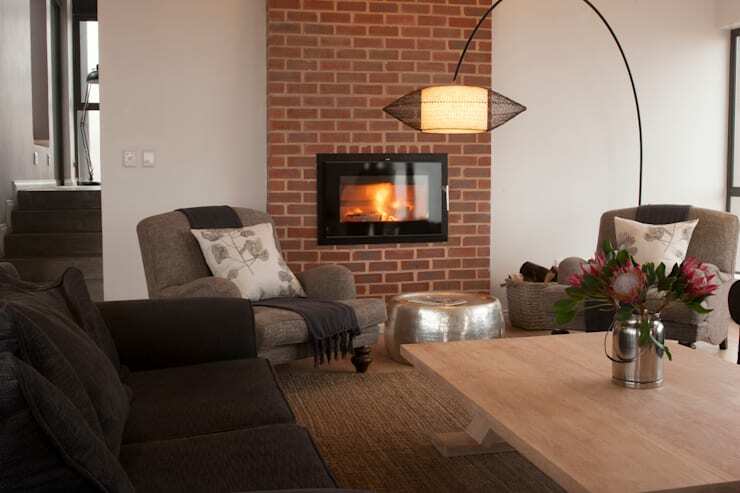 Plush sofas and chairs invite us to have a relaxing sit-down in front of a modern fireplace/wood-burning oven, which presence becomes even more prominent thanks to the brick-clad surface framing it. Lush pillows, soft throws and a comfy-looking rug add even more cosiness to the scene, while a floor lamp with a rather exceptional look adds both style and illumination to the space. And what could be more ‘proudly South African’ than including our national flower on the coffee table? Still working with the ‘style and functionality’ theme, we move into the kitchen, which treats us to multiple storage areas, ample worktop surfaces and comfortable seating spots (for the guests to keep the cook company, of course). Notice the amount of sleekness that dazzles the space via the ceiling pendants and appliances, contrasting quite deliciously with the raw and rustic style of the kitchen. 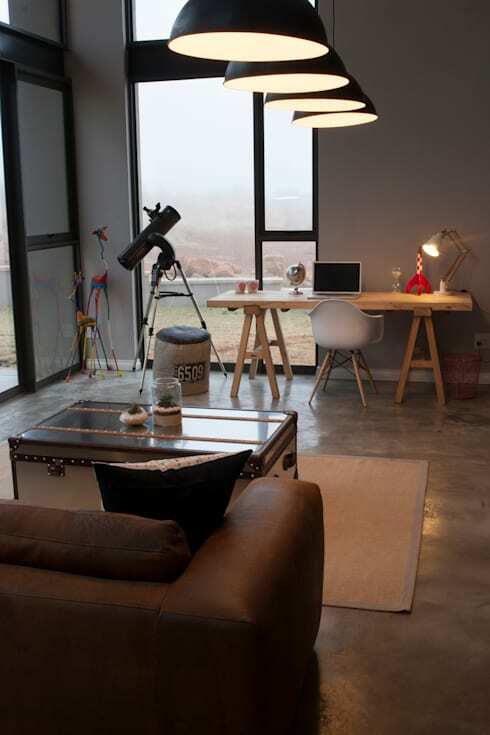 Now, we really wouldn’t mind having this room for a personal home office, for it seems to have it all: adequate space, a comfy-looking work area, layered lighting, a unique style which seems to be a mixture between rustic, industrial and Scandinavian, plus a gorgeous view of the stretched-out landscape outside! Last but not least, we close off our tour with a glimpse at one of the more private areas of the house – the bedroom. And even though this space is also decked out in the rustic style, we can’t overlook the amount of charm and cuteness that’s displayed everywhere, from the wall art and the fluffy pillows to the unique side tables which resemble vintage suitcases. 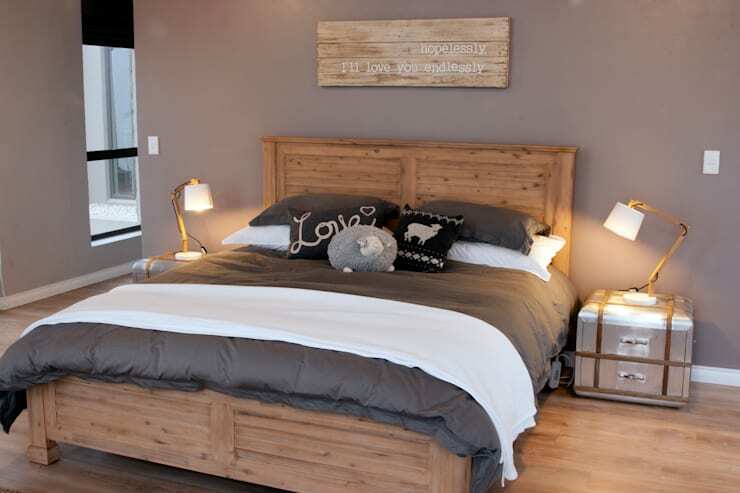 Most definitely one of our all-time favourites here on homify! Want the same look back home? Then check out: A simple guide to rustic home style.